Public warning poster using silhouettes of AVRO biplanes. Public warning poster. 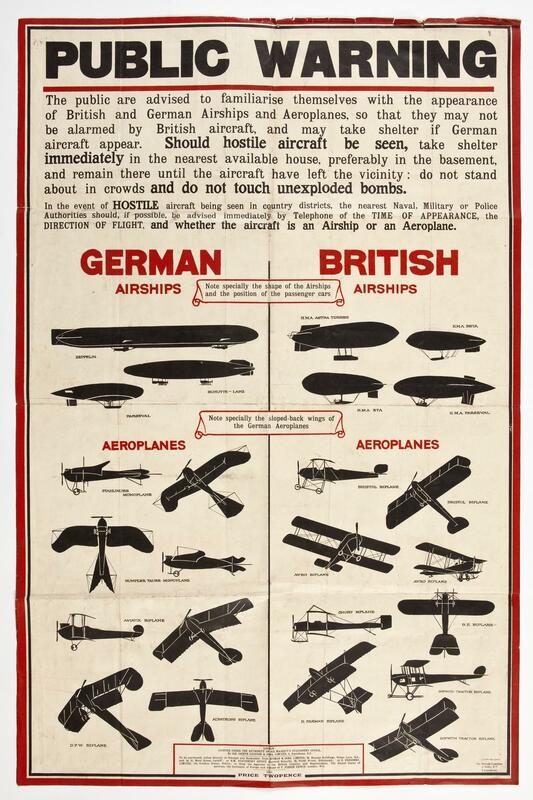 The poster shows silhouettes of German and British aircraft and asks the public to be vigilant. The poster includes two silhouettes of AVRO biplanes.